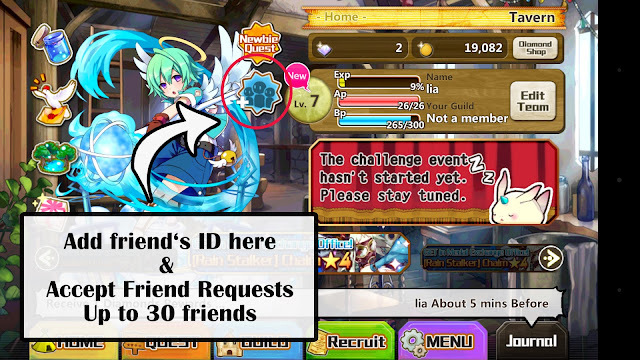 Thought of coming out with a simple visual tutorial to make your gaming experience with Merc Storia a breeze. And these instructions don't come back, it only goes forward so everytime they give you new advices (no repeats) which makes it abit difficult if you had missed it of forgot about it as it is quite early in the game before you start progressing. 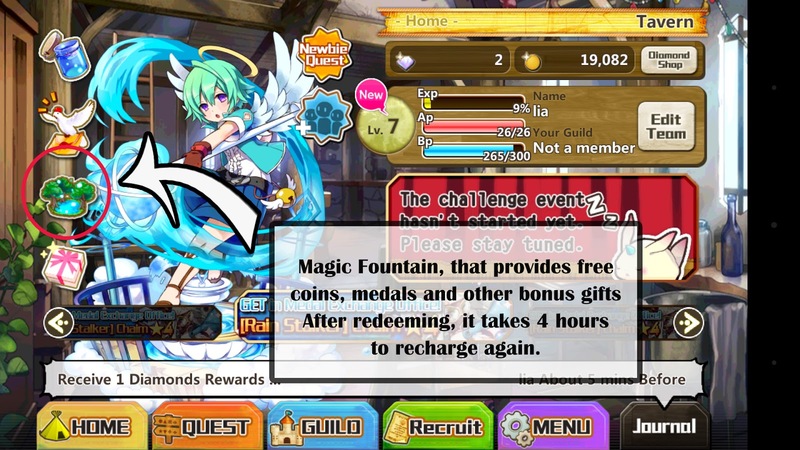 So i do hope this post of mine may serve as a basic "reminder" to my fellow Merc Storia friends. After you receive your very first 3 star character**, do check your gift box. 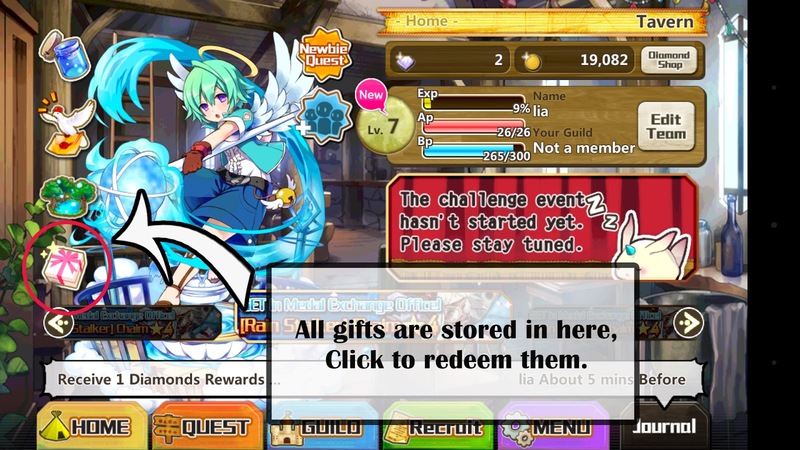 There are things waiting to be redeem by player and also if you score any gifts from your quests/ achievements it will be instantly credited into the "GIFT BOX". As for the magic fountain, it is just a bonus place that gives you free gold coins and medals. Medals can be used to exchange for potions/ runes and even limited edition healers. Followed by your messenger bird that brings you daily updates upon logging in, and that trinket jar above is actually your guide "Merc". Click on her to interact. As for the newbie quest above, it is some simple tasks where you have to complete when you play the game and after that you will be awarded in the form of diamonds/medals & gold coins. Also remember to join me on the OBT "Open BETA Test" next week. 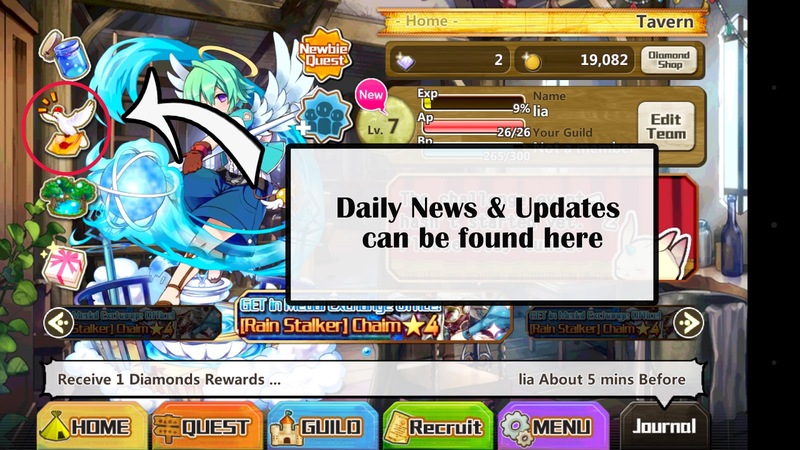 So stay tuned on these pages to get the latest updates and progress as we get closer to the release of the finalized English version of Merc Storia*. *P/S: By participating in the CBT & OBT you guys have helped Ujoy team to progress on with the finalized version even faster :) So thank you!